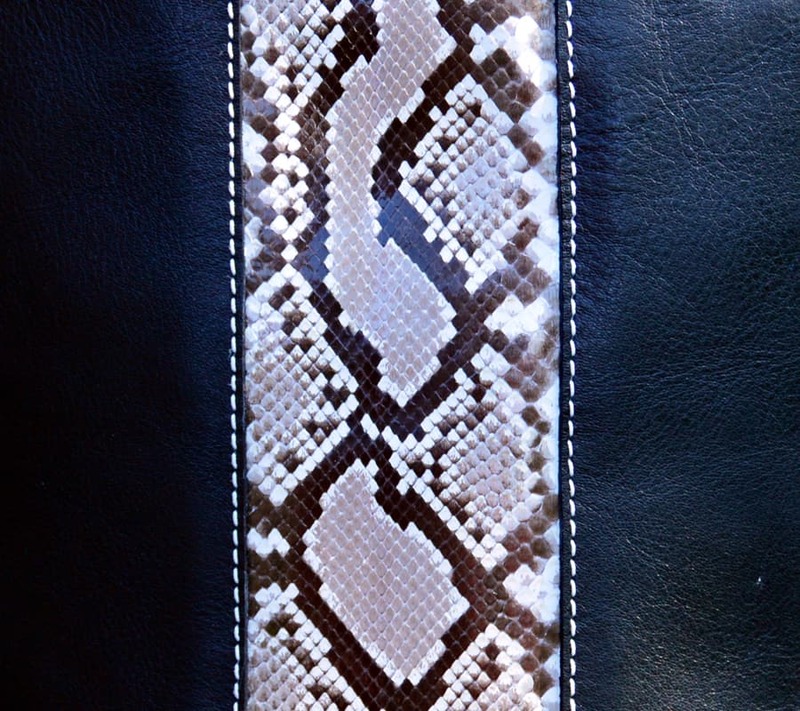 Stately black with an exotic mod twist…chic Python! Understated with a wild side describes our sleek and soft Black top grain (with python) concealed carry purse. Bright white stitching complements the deep dark black leather. 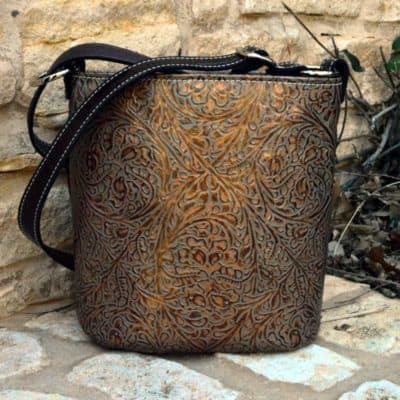 Available in left or right hand draw, this bucket style purse is perfect for your every day carry essentials. 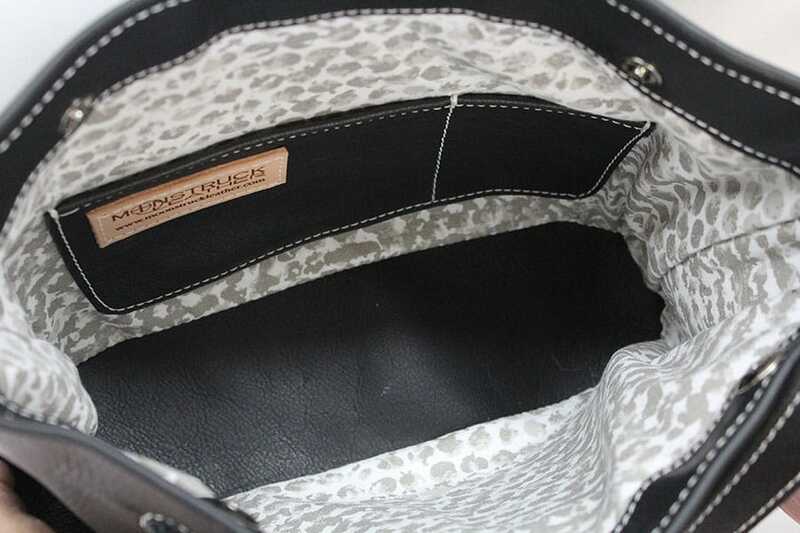 Interior and exterior pockets are perfect for cards, lipstick or spare magazines. Exterior pocket concealment pocket is perfectly sized for most of today’s popular handguns. 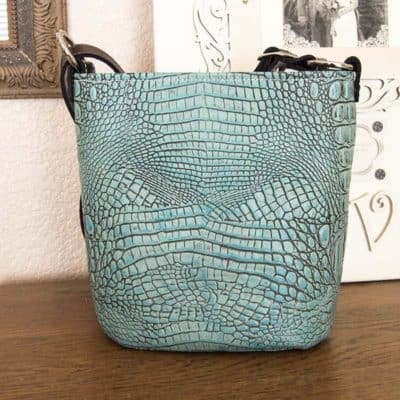 Our soft Black Top Grain Italian Leather meets super chic Python in this new MoonStruck creation. 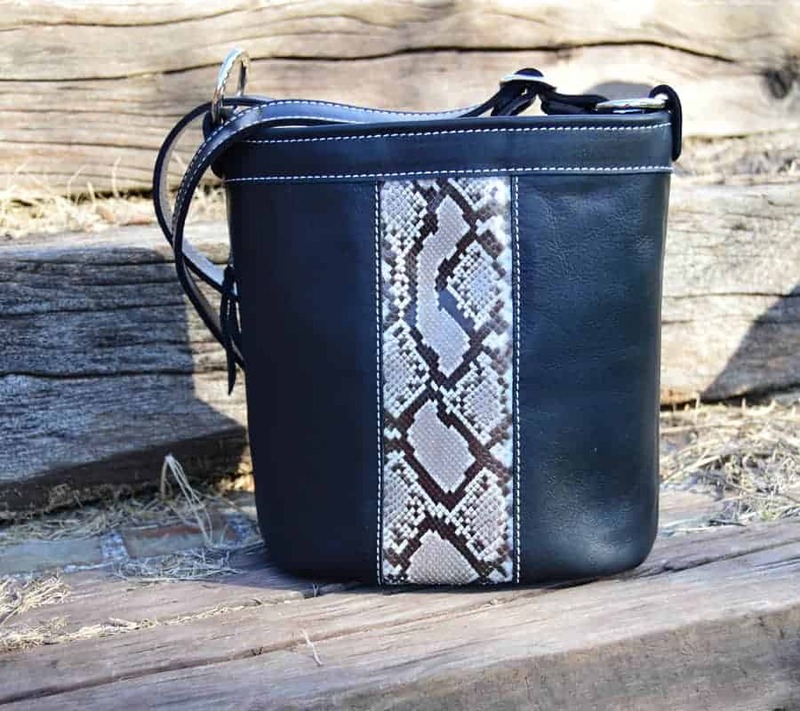 This Black Top Grain Python Concealed Carry Purse is available in Bucket style, with either a left or right hand draw. Buttery smooth leather and ultra rich tan and black python blend elegantly into a simple and refined fashion statement. 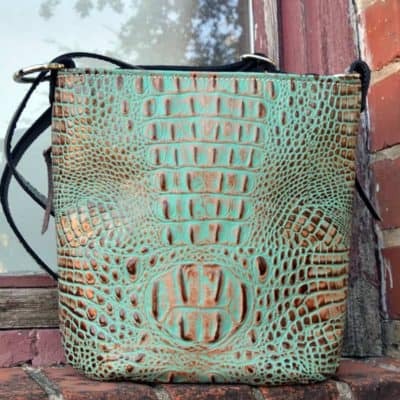 White stitching on the strap and edges creates a subtle contrast in the design of our Bucket style concealed carry purse while the pop of python gives it a rugged charm. 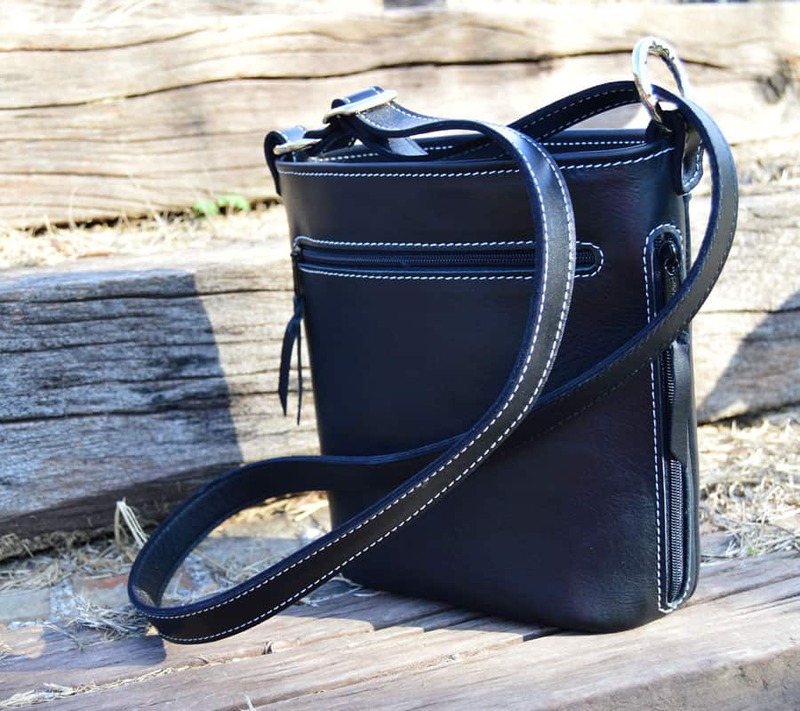 Every Bucket style purse has a zippered concealment pocket for your handgun with an included adjustable holster. The conceal and carry pocket and adjustable holster have heavy duty, industrial strength Velcro to ensure your gun stays secure and protected until you need it.